2. Fabric cover : high quality double PVC-coated polyester textile, 100% waterproof, flame retardant, UV resistant, tear resistant, self-cleaning ability, etc. 3. Easy to be assembled and dismantled, movable. 4. 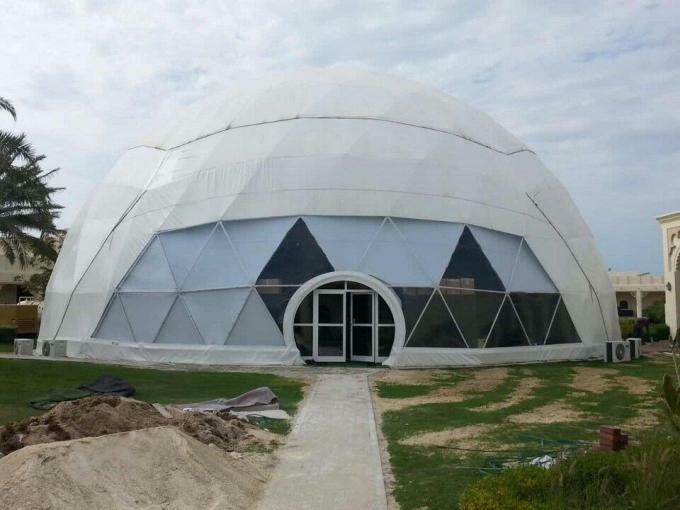 Its unique and beautiful shape, variety fabric design style makes sphere tent the first choice for high-end users who advocate high quality events.Sphere tent create the perfect solution for make your event special. Sphere design is widely used in various events, large-scale exhibitions, celebrations, outdoor activities. 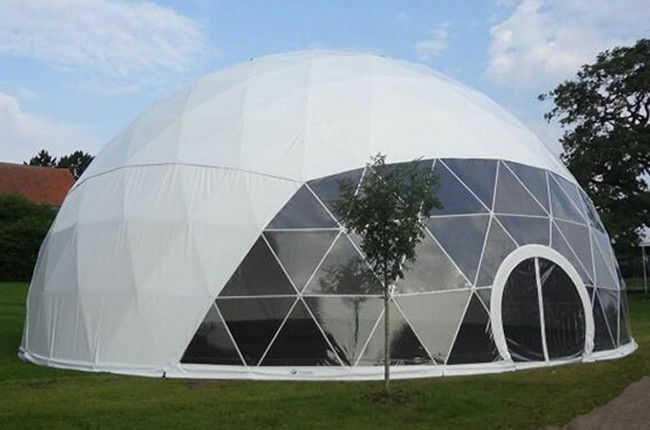 Dome tent is a visually striking marquee with an innovative space age design. The frame is made from strong tubular powder coated steel. Connectors join the tubular bars to form triangular cross sections,which join together to give this structure both its enormous strength and futuristic outer appearance. 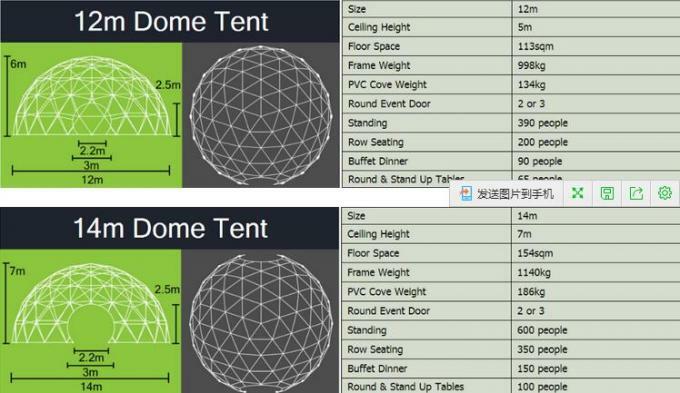 The dome tent has been engineered to be used in strong winds and adverse weather conditions. The Corona SunSets Music Festival with 35m big dome tent in China. The Glamping dome tent resort in Yunnan. The LED talk in Norway. The Ice Festival in Jilin, China. The Lee Kum Kee warehouse tent in China. Q1.Does your company accept customized tent? A:Yes, we can make the tent according to our customers different need. Q2.Does your company is a factory? A:Yes, we are a factory, so our price is really reasonable, but with high quality. Q3. Does your company provide any help to install the tent? A:Yes, usually we will send manul instruction and CD to help our customers to install the tent. Q4. Does your tent can move to the other place after set up? A:Yes, the main frame of our tent is aluminum, so it is light in weight but with high strength, that is very easy to set up and dismantle.